‘Harry Potter‘ fans, listen up! Have I got a story for you! If you regularly play on Potter-author J.K. Rowling‘s website www.pottermore.com then you probably know what I am so excited about! The matriarch of the ‘Harry Potter’-kingdom has granted us, the fans, another glimpse into the lives of our favorite HP characters. 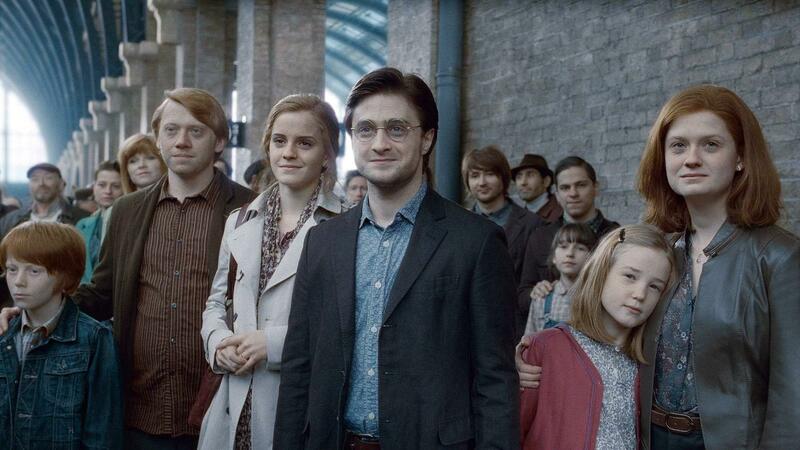 It’s been seven years since the last ‘Harry Potter’ book left us all in tears, tears of happiness, sadness, or tears of the finality of that last book. One thing that remained constant through all of the novels and their movies, we’ve learned time keeps going. The original boy-wizard has grown up, as have the fans and the character actors. Rowling paid homage to that fact on the www.pottermore.com website today. She gave us a 1,500 word story about where our heroes and heroines are at the moment. This information comes to us in a different narrative than we’re used to. Harry is still working at the Ministry of Magic, about to turn 34, (Any true HP fan knows his birthday is July 31) Skeeter gives the description that “there are a couple of threads of silver in the famous Auror’s black hair, but he continues to wear the distinctive round glasses that some might say are better suited to a style-deficient twelve-year-old.” Harry also has a cut on his cheek, which Skeeter speculates could mean dark days ahead, given Potter’s important job as defender against the Dark Arts. Ron used to work at the Ministry with Harry, but now co-manages his brothers’ joke shop ‘Weasley’s Wizard Wheezes’. His hair is thinning. Ron’s wife, Hermione is rising through the ranks at the Department of Magical Law Enforcement, where she serves as a deputy. Ginny is a journalist who will be covering the World Cup final. She and Harry are still married, though Skeeter charges that “cracks [begin] to show in a union that the Potters are determined to promote as happy.” Seems like Neville Longbottom is a herbology teacher at Hogwarts, I wouldn’t mind taking his class, now! This is the best example of puberty done right! Luna Lovegood is still relatively spacey. The new story coincides rather handily with the opening of the new Diagon Alley section of The Wizarding World of Harry Potter at Universal Studios. 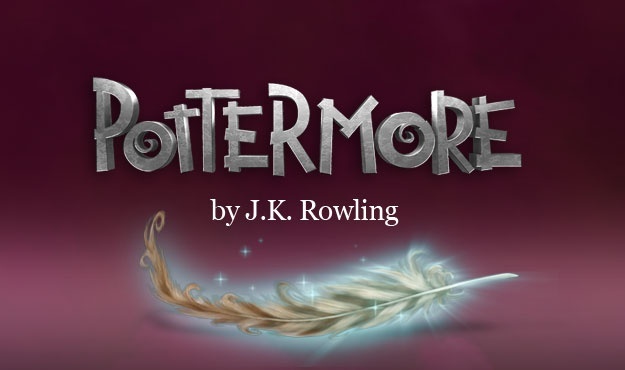 If you want to read it, sign up for Pottermore. Rest assured, you’re not the only adult who has a membership. That line was creepy enough to add the following, watch your kids using Pottermore, as there are a number of adults who visit the site daily, and possibly more after this publishes. This entry was posted on Tuesday, July 8th, 2014 at 3:35 pm	and is filed under Books, Events, Film, News. You can follow any responses to this entry through the RSS 2.0 feed. You can skip to the end and leave a response. Pinging is currently not allowed. « Monty Python Says Goodbye at O2 Arena in London!! !